I did a preview of Capital Punishment for ESPN Los Angeles with a run down of several participating players from each of the Goodman and Drew rosters. So check it out please. Nick Young won’t be playing, via Michael Lee. With Ronny Turiaf out due to a broken finger and Seraphin gaining his minutes starting with the Australia game, look for him to continue getting quality run. This is all pretty good for a guy who was a surprise to make the French team for the upcoming EuroBasket 2011 in the first place. See? Not all is lost in Wizards development this summer. According to translation from a French website, it seems that Antawn Jamison was initially interested with signing with French club Alsace. But instead he opted to just spend time with his family, giving way for Orlando Magic rookie Justin Harper to sign with the team. 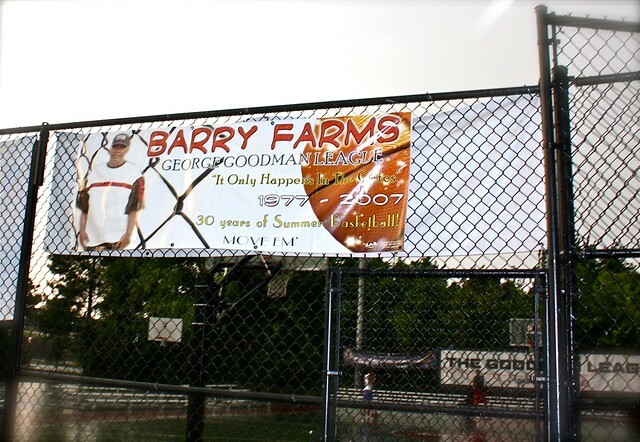 Technically there is no ‘s’ in Barry Farm, but we’ll just go with it.